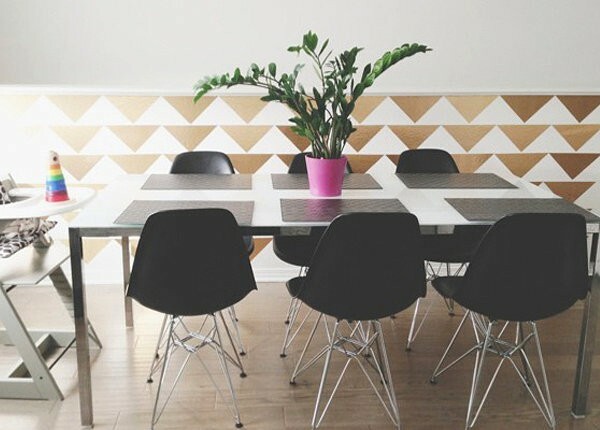 One of today’s most popular DIY project supplies is contact paper. 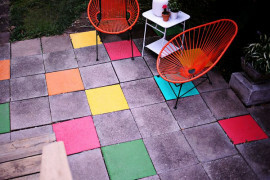 Have you come across any DIY projects featuring this wonder material? 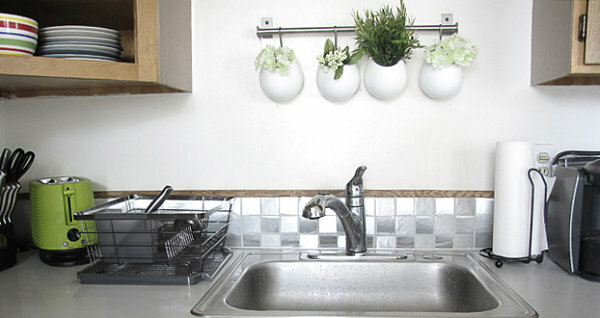 The benefits: it’s inexpensive, it can easily be removed, and the creative possibilities are endless. 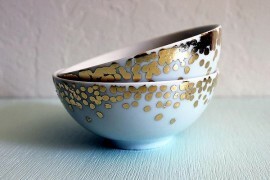 I have to admit–contact paper is one of my current obsessions. I used it to design and craft the gift wrap featured in this post. 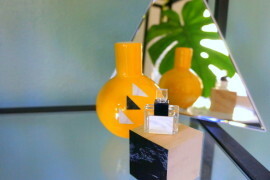 And the marble tile art featured in this post. 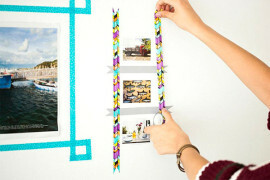 These projects were so affordable and enjoyable, I’m now on the hunt for more crafty contact paper fun! 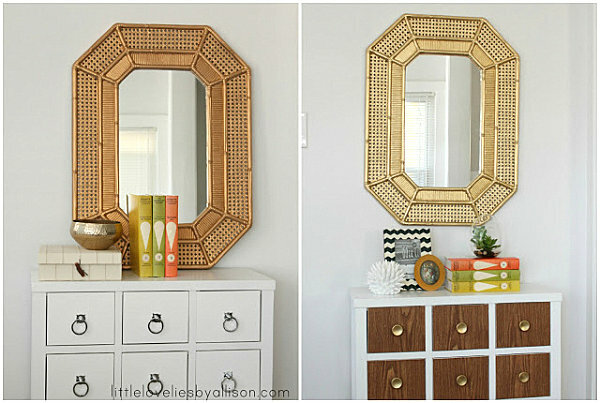 We now move on to furniture, which can always benefit from a little bit of makeover fun. One thing I sometimes hear from my friends who are expecting is that they love DIY projects but don’t want to be around a lot of paint fumes while they’re pregnant. That’s what makes contact paper so fabulous! You don’t have to mess with primer, paint or sealer. 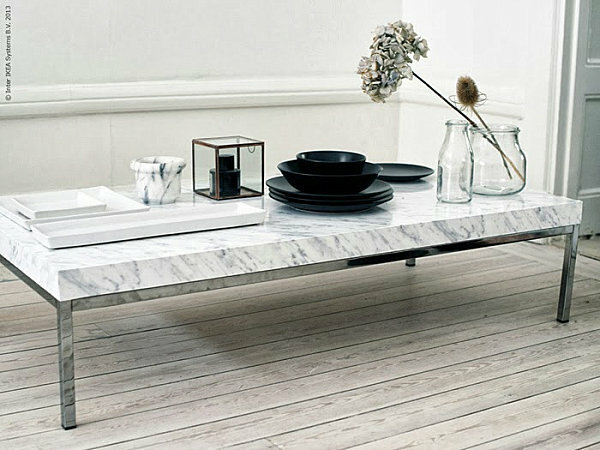 This DIY marble coffee table project from Livet Hemma (featured on ) is an elegant way to embellish an IKEA table, or any table for that matter! 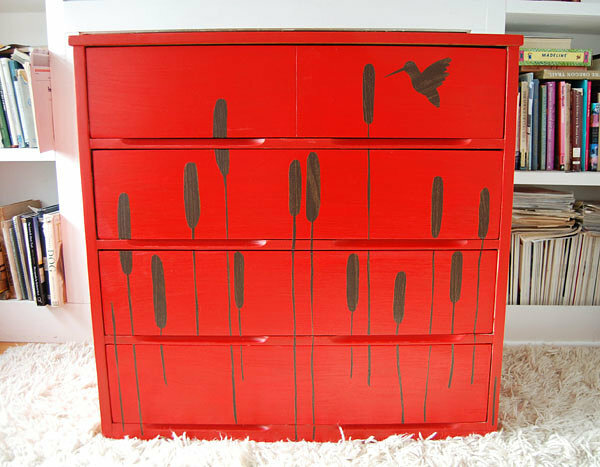 For a slightly more ornate twist, try adding designs cut from wood grain contact paper to the surface of a chest of drawers. You can always paint the dresser first. I’m loving the vibrant red of the furnishing in the next featured image! 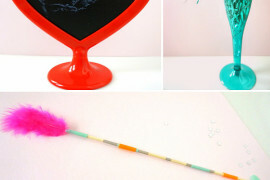 Check out all the DIY fun at . 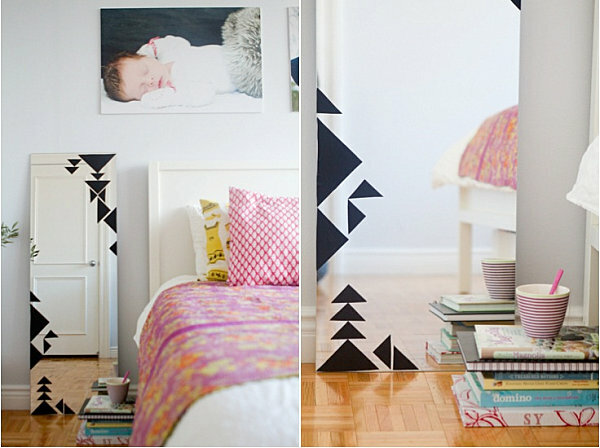 How cool is this contact paper design on the wooden headboard below?! 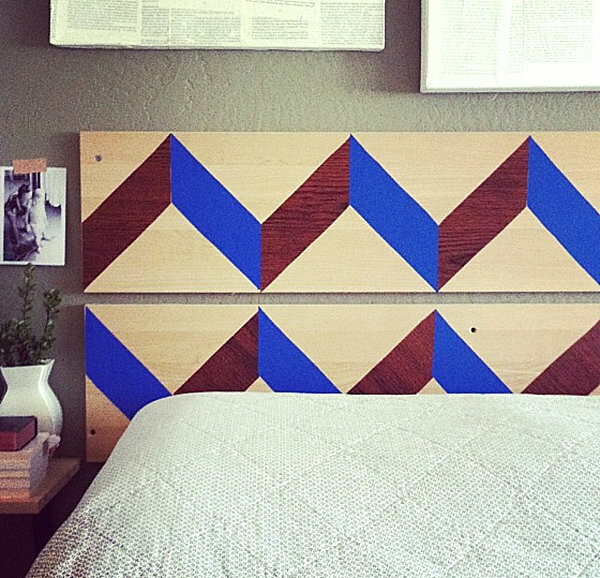 Once again, we have a clever use of wood grain contact paper, this time contrasted with bright royal blue.The chevron pattern seems to jump off the headboard in a colorful 3-D design. For more details, head on over to . 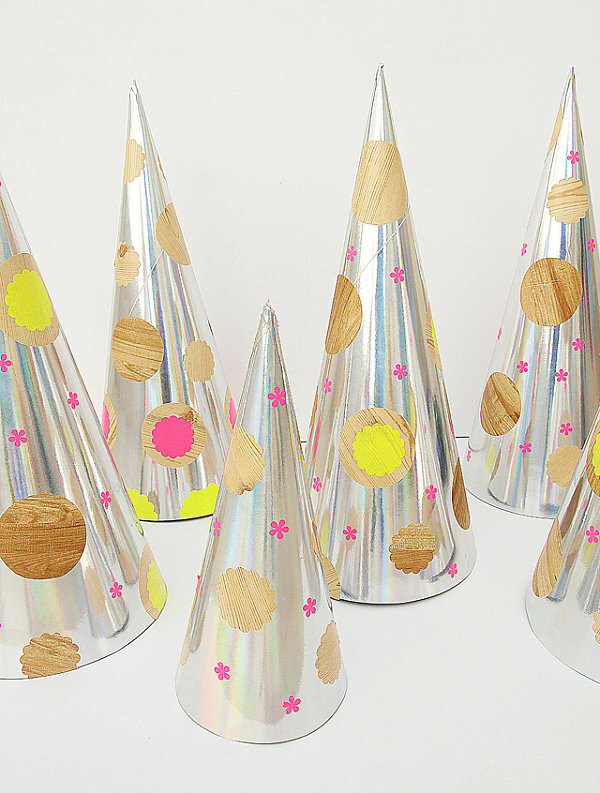 We end with a quartet of contact paper DIY ideas for your next party. 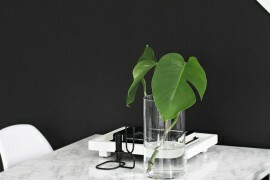 Did you know that you can buy chalkboard contact paper?! Yes, the kind you write on! 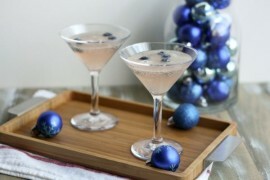 Jazz up your next wine and cheese party with a couple of contact paper embellishment ideas from . Create a contact paper runner filled with food pairing tips, and then cut out little squares and stick them to your wine glasses so your guests can write their initials on their goblets! 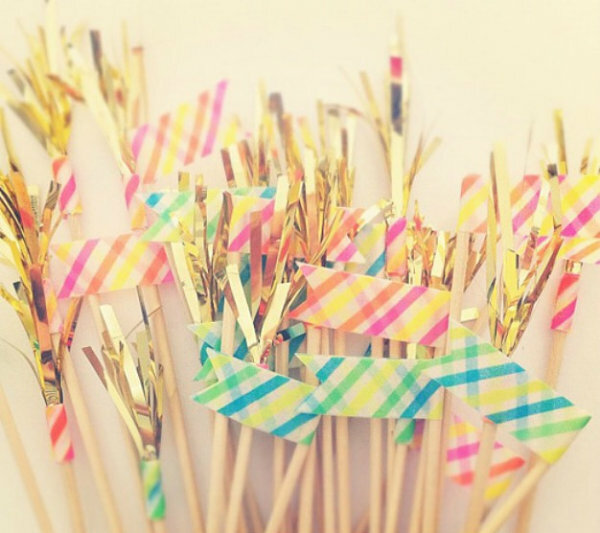 You’ve probably noticed that banners and bunting are everywhere when it comes to festive decor. 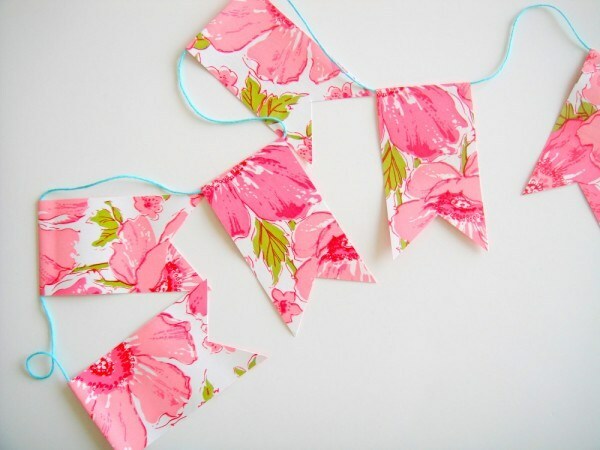 But this project idea is a bit different…in part because of the vintage floral pattern. And also because it was crafted from contact paper, making this an easy, no-sew, no-glue solution for your next fete! Check out all the details at .